When Bridie Marshal and her husband Chris decided to sell up their family home and live “the good life” in rural Ireland some people thought they were mad but with both children grown up and living away from home they knew the time was right for change. 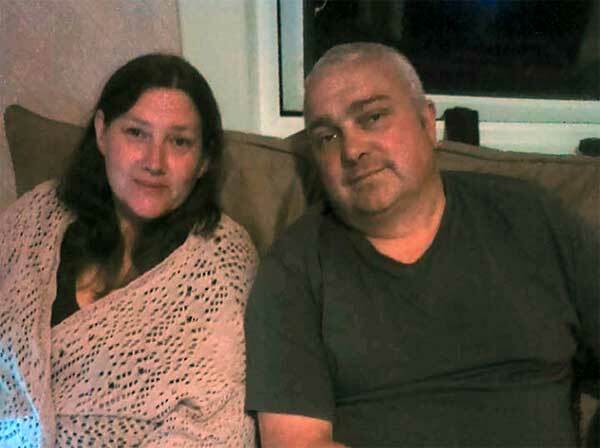 Both worked full time, Chris in a laboratory testing materials at a quarry and Bridie ran a Youth Centre – a job she loved despite the long and unsocial hours. It was as part of this youth work that the two of them helped a young man establish a local community farm where they could teach young people more about the provenance of their food. The project was a great success and from then on, Chris in particular, dreamed of having a house with some land so that they could live a more self sufficient lifestyle. Bridie tells us their story…. We were living in a three bedroom miners cottage and, although we had no mortgage, we could not afford to buy a house with land without taking on a substantial financial commitment. This would have seen us working more hours and spending less time together so this wasn’t an option. We started looking on the Internet for properties and quickly realised that if we wanted to lead the “good life” we might need to consider leaving the UK. We scoured the internet for properties in Spain, Greece, Portugal and Ireland all of which were attractive for a variety of different reasons – price, language, types of produce we could grow, livestock and community. We finally settled on Ireland mainly because it was close to home if we were needed by our families and because there was no language barrier. After a couple of fact finding missions and one failed house purchase we found our dream bungalow and some additional land in the Arigna Mountains in County Roscommon. The purchase was completed in March 2013 and have been living there full-time since June 2014. The purchase of this property was straight forward unlike the house which fell through. 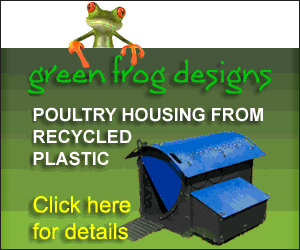 We were able to complete the entire purchase process over the Internet and on the phone which made life simple. It also helped that we were in touch with Joan, the lady who was selling the bungalow, who kept us up to speed with how things were progressing with her solicitor. In fact we are still in touch with her and she has visited us twice since moving back to England. The house buying process is very similar to buying a house in England but in our scenario the land and bungalow were purchased as 2 lots due to different taxes on the sale of land and property. The bungalow came with 1 acre and we purchased a further 7 acres of mountain grazing land which had previously been home to sheep. Although the land was good in places it was wet and rushy in others; however, due to the small numbers of animals we intended to keep, we knew we could make the land work for us. 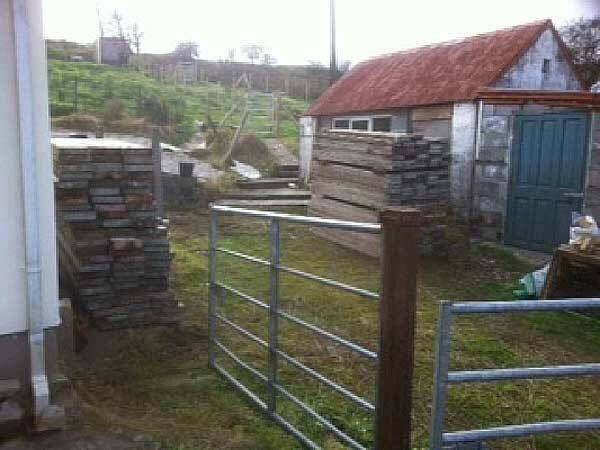 Setting up a smallholding in Ireland is a little different than in the UK but it’s not difficult and the agencies concerned were all very helpful. We have been really welcomed by our neighbours and they are pleased to see the house and land being used. 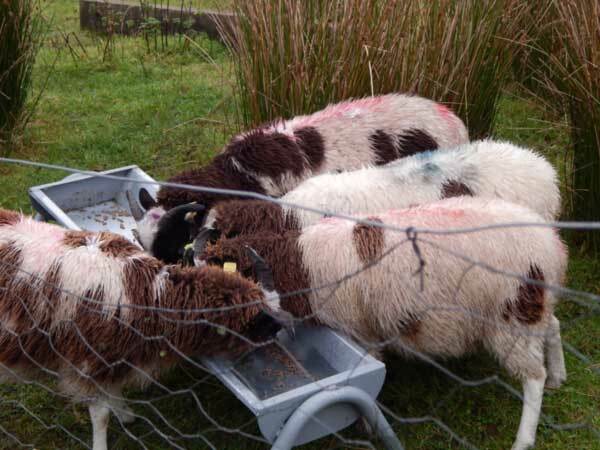 As for livestock we knew we wanted to keep pigs, goats and sheep in small numbers and we found lots of information on the Internet about the process and the agencies we needed to speak to. 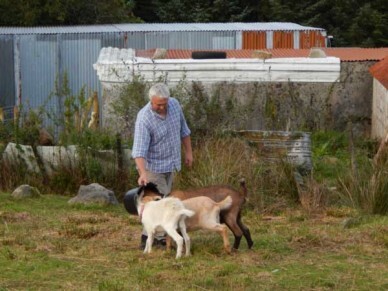 We also found a local couple, Judit and Pat, who ran self-sufficiency courses and attended their goat keeping and dairying course as we had no experience of raising milking goats. Their help and advice was invaluable. 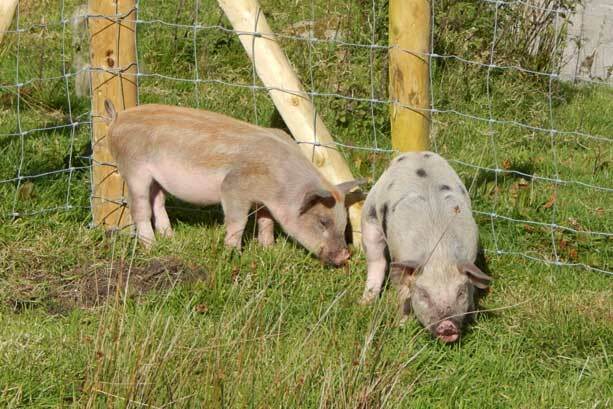 The summer of 2014 was very kind to us and we worked hard getting the smallholding split into separate areas – we fenced areas for the pigs, installed water drinkers and put in gateways. Before you move any animals onto your holding you need to get the district veterinary officer to come out and check your land and animal housing arrangements are suitable for the type and amount of animals you are going to keep. We completed an application form to get our herd numbers and the district vet visited us at the end of July. We were delighted when he approved us to keep pigs, sheep and goats. Our movement papers and registers arrived over the next 2 weeks and we then set about sourcing animals. 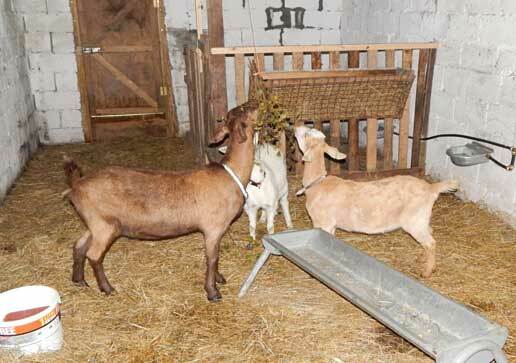 Our first purchase was two female goats in August followed by another in September. We mated the eldest, Freddie, at the end of October and started to contemplate having our first animals born at the smallholding the following spring. We then also bought 2 weaners at the end of September as we decided that it wouldn’t be cost efficient for us to have our own sow at this time. From there we fenced off an acre of land at the rear of the house for us to turn into a garden. 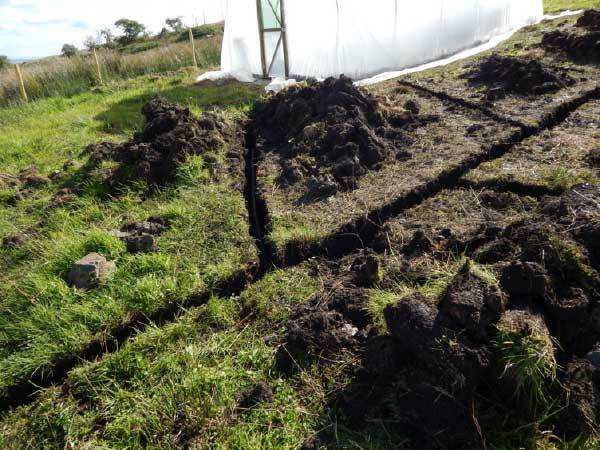 We put in some French drains and erected our polytunnel. We then sourced used scaffold boards to make raised beds and spent lots of time getting the garden set up for growing. This still isn’t fully complete and along with a snowy winter and the very wet spring and summer, yields haven’t been as good as we hoped. But, as one of our neighbours told us, “you can’t fight the weather”. Snow also delayed installation of a Portacabin but this is now in place and serves as our butchery and dairy. This is where we keep our freezers and the equipment we need to process the meat. In addition we are growing food for the animals and have planted willow as forage for the goats and to use for baskets, fences and screens. Spring came and in March 2015 we had twin male boer goats born. These were our first animals born here on the smallholding. Freddie proved a great first time mum and was also very good to milk, giving us between 1.4 and 1.8 litres per day. We use the milk to make cheeses including cream cheese, ricotta and mozzarella. Our plans are to have more goats milking in the spring so we will be able to make our own butter and some hard cheeses. The number of animals at the smallholding is constantly changing as animals will be born and then either be used for meat or be sold on to other smallholders. Currently we have 3 ducks (one arrived today). 4 goats, 2 pigs, 3 Jacob sheep, 1 beehive and our lovely dog Roz who loves living here. We hope to have lambs born here in the spring as the ewes were too young last year. With pork, ham, bacon, and Chris’ speciality Merguez sausages, we can already see that we may have spare produce that we can either swap for other produce or services. We may even set up some farm gate sales in the future but this is our lifestyle choice rather than a business opportunity and we don’t want to start having to meet deadlines and get back on the treadmill that we have just got off. I would recommend this lifestyle choice to anyone but to anyone considering a similar change I would say that we were perhaps a little unrealistic about the timeframes. We thought we would have much of the transformation completed in the first year but this was never going to happen as things take longer and cost more than you think. Living in rural Ireland also means that the local amenities are further away so we need to make sure we make the most of our trips to town as forgetting things can be costly and time consuming. We do miss seeing family and friends but we have lots of visitors and the Internet means we can keep in touch easily. Ireland is the perfect choice for anyone considering this type of lifestyle. Houses with land are much cheaper than in the UK (habitable property with an acre of land can be found for well under €150,000 with properties requiring restoration available for as little as €40,000 – €50,000). Lots of people keep animals and grow their own fruit and veg so there is plenty of local knowledge and advice on tap. Although it may seem an idillic lifestyle it is completely different to what may people will be used to so I would strongly recommend lots of reading and, if possible, a stay on a smallholding to see if the lifestyle really is for you.